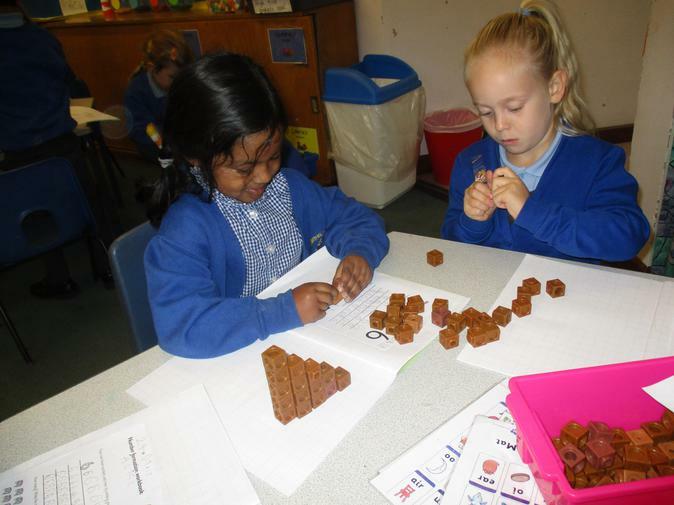 22nd January - Maths fun! 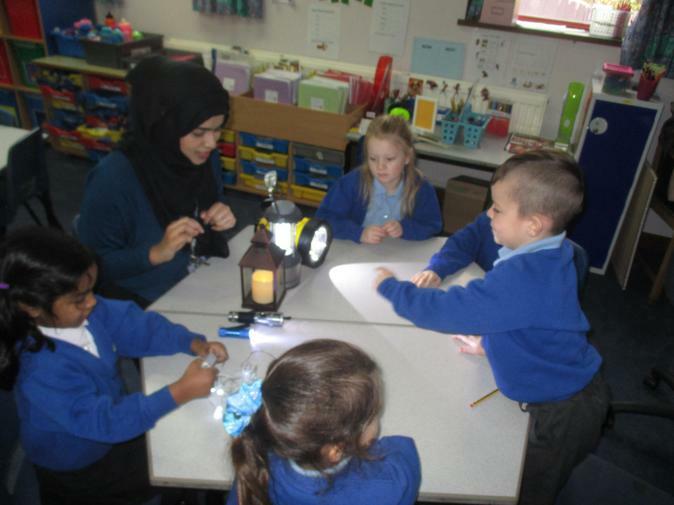 We spent time investigating light and dark. 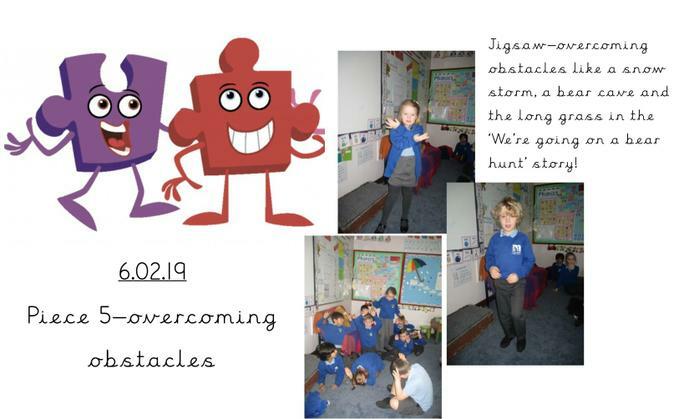 We began by predicting which ‘men’ we could see in a dark cupboard. 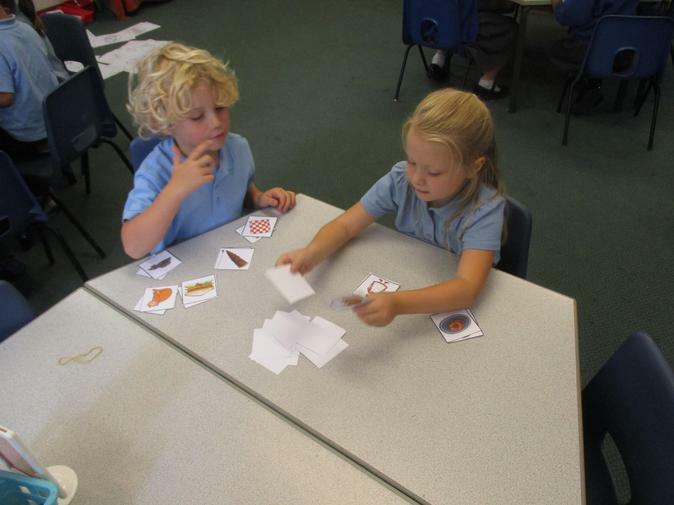 Then we went in the cupboard to test our predictions. 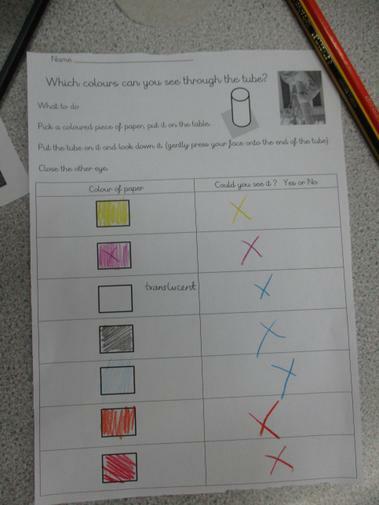 We were surprised by our results! 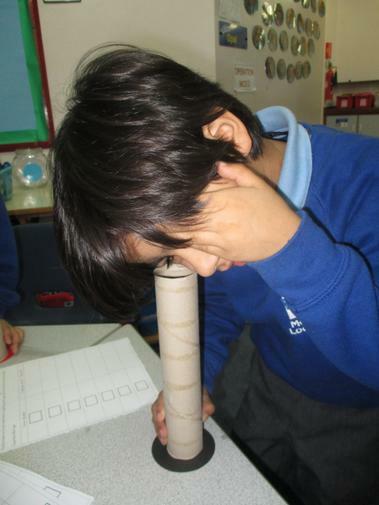 We also looked through long tubes to see if we could see what design of paper was underneath. Without light we couldn’t see the pattern. We also ordered light sources from the brightest to the least bright. Finally we designed a new cave for little bear. We filled it with light sources so he wouldn’t be scared. 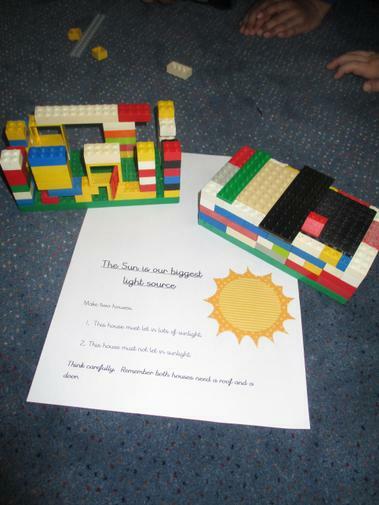 We built houses that would let in lots of light. 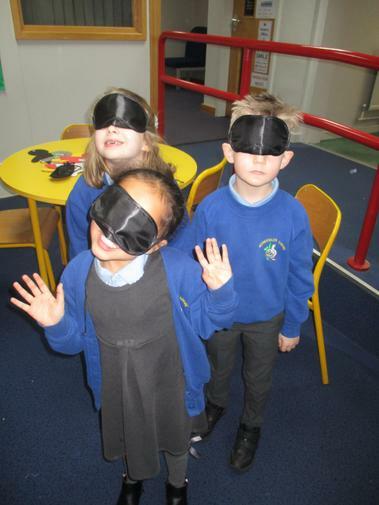 We read 'Can't you sleep little bear' in an imaginary cave in the woods to help think about what it means to be light and dark. 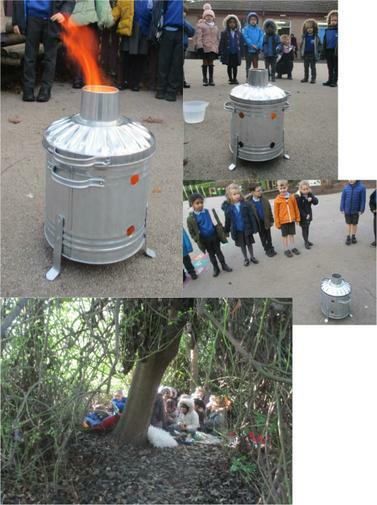 We also lit a fire and discussed what a source of light is. 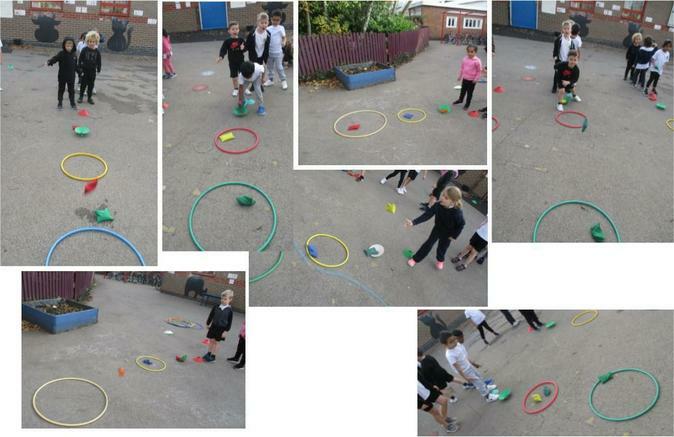 We were practising throwing beanbags into different hoops during our outdoor PE lesson today. 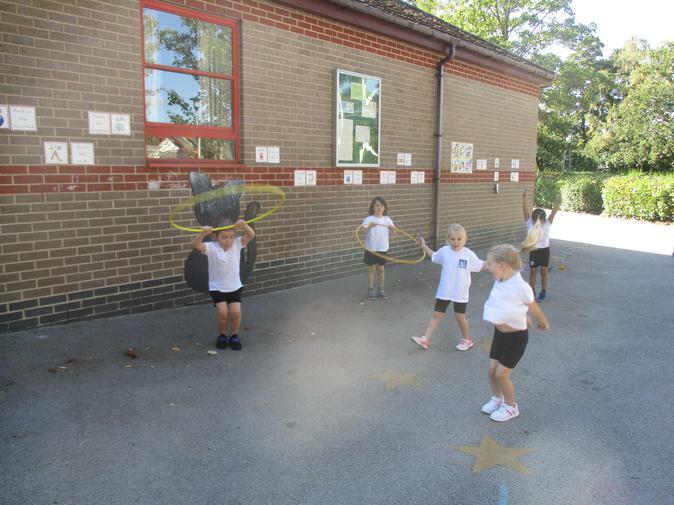 Each hoop was worth a different amount so we had to use our maths skills to add up the points! 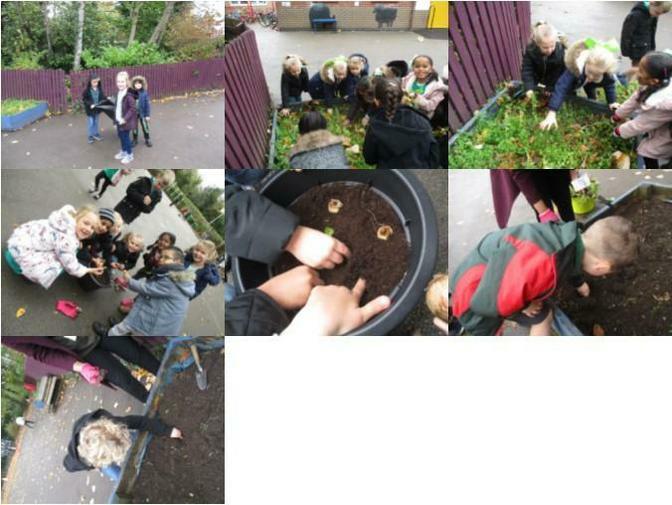 We had lots of fun on Green Day, including litter picking and planting bulbs around school! 1. 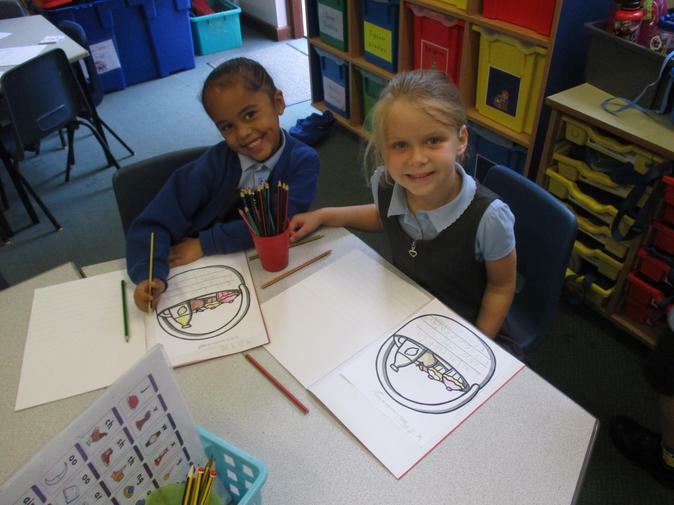 First we drew a triangle shape onto the plate. 2. Then we cut it out and stuck it onto the back of the plate for the fin. 3. Next we drew an eye and some scales on. 4. Finally we decorated it. 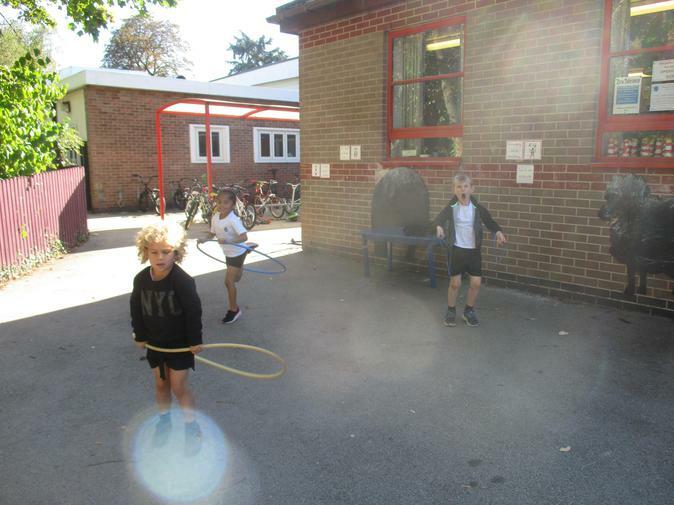 25th September - Skipping in the lovely sunshine! 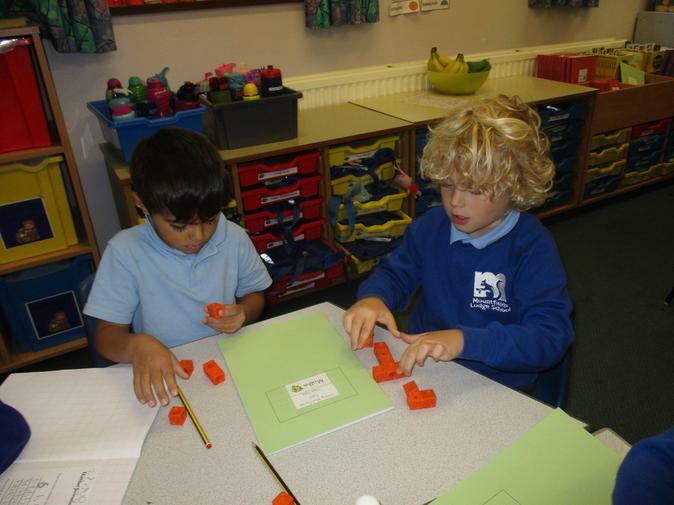 We have been learning about numbers to 10 in Maths. 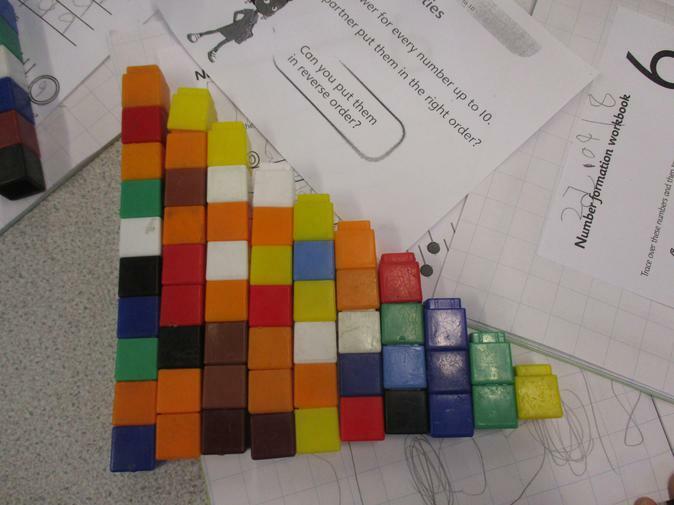 We created towers of cubes to show these! 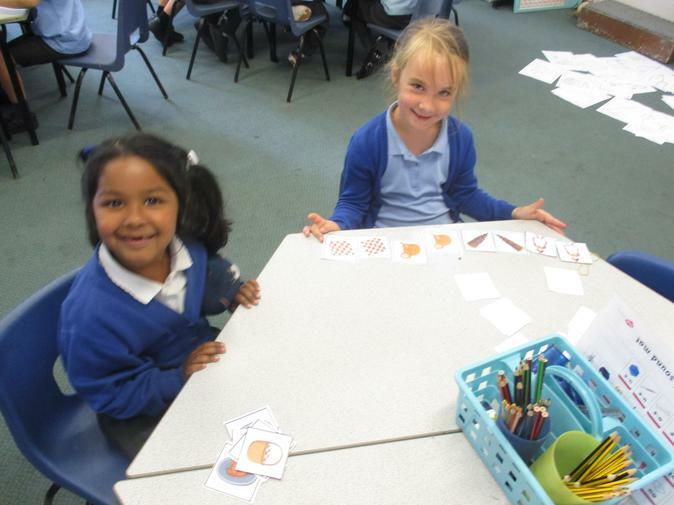 We have been having lots of fun learning about our new text - The Lighthouse Keeper's Lunch. 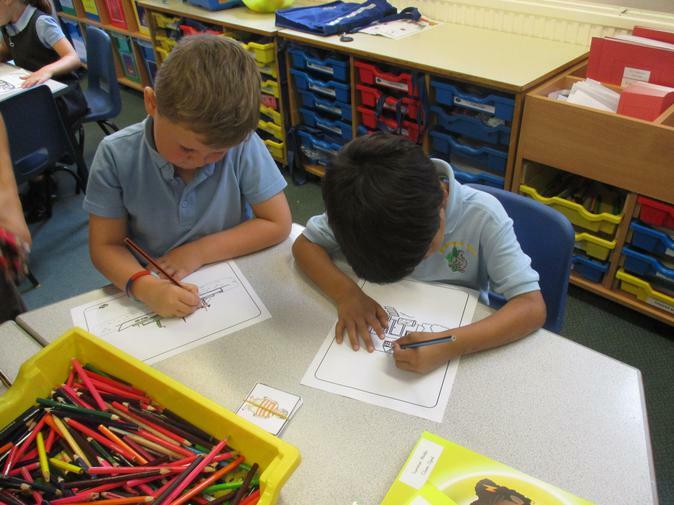 We have been playing matching pairs, chalking outside and colouring characters from the story. 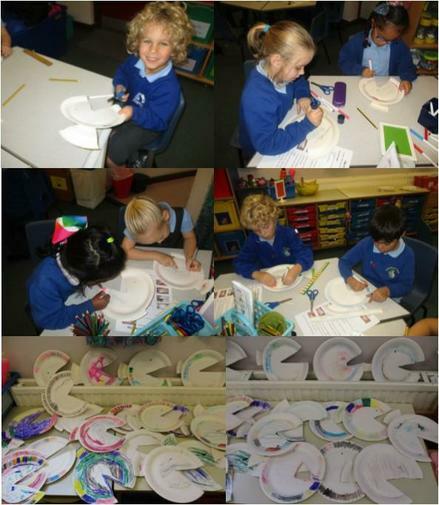 We also wrote about our own ideas for our favourite lunch and made seagulls with Mrs Waldron. 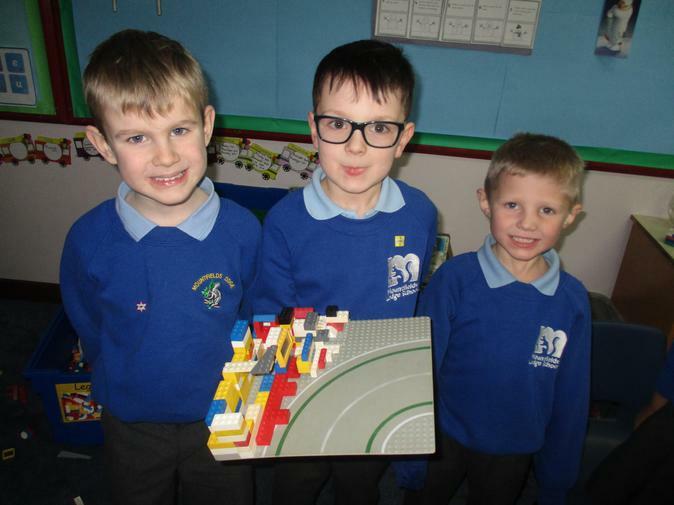 - a wonderful Year 1 Class! - becoming more independent and learning to put our things away by ourselves. - very grown up! 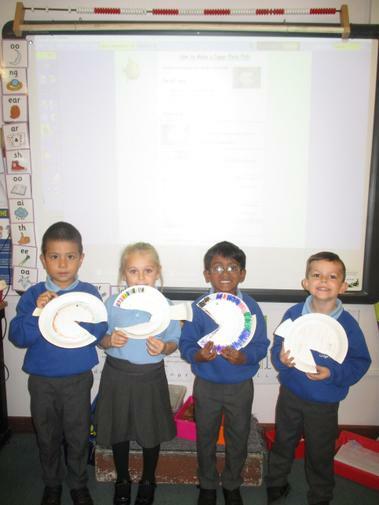 We even change our own reading books. 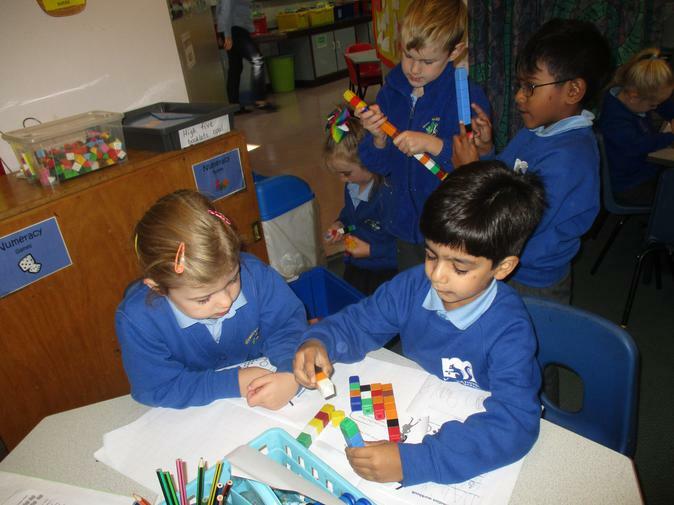 - a very kind and caring class and are always thinking of ways to look after each other. 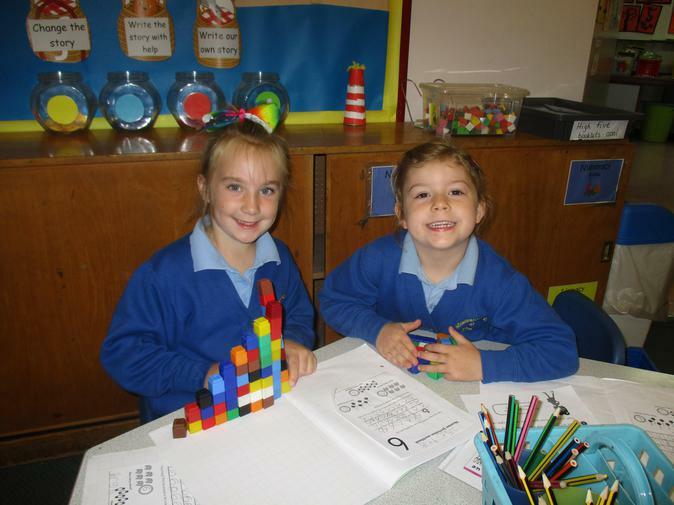 - very enthusiastic learners who always work hard. 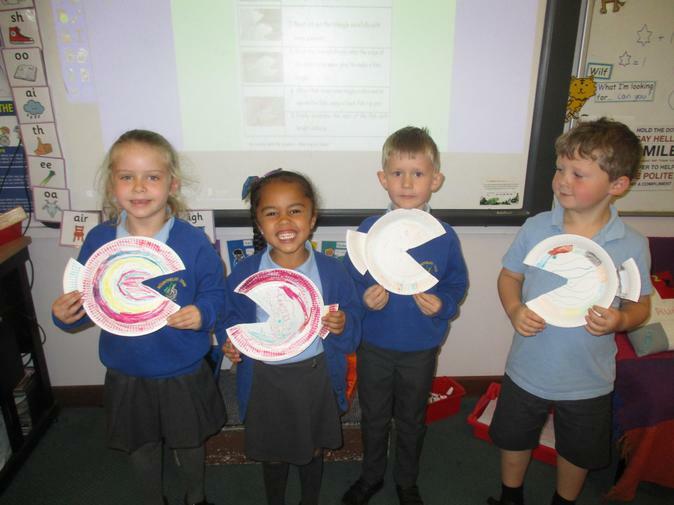 - a class who loves singing and making up rhymes to help us remember things. 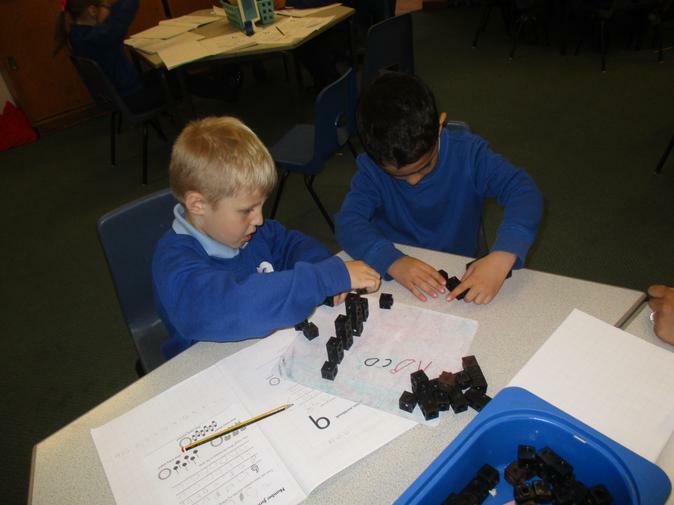 This year we will be mastering many crucial Maths and English skills through fantastic themes. 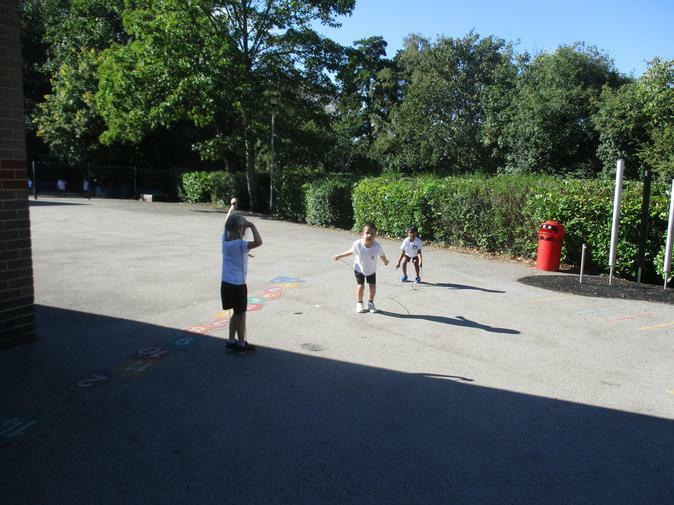 We have outdoor PE on a Tuesday and indoor PE on a Wednesday and Thursday; so we need to have kit suitable for both. 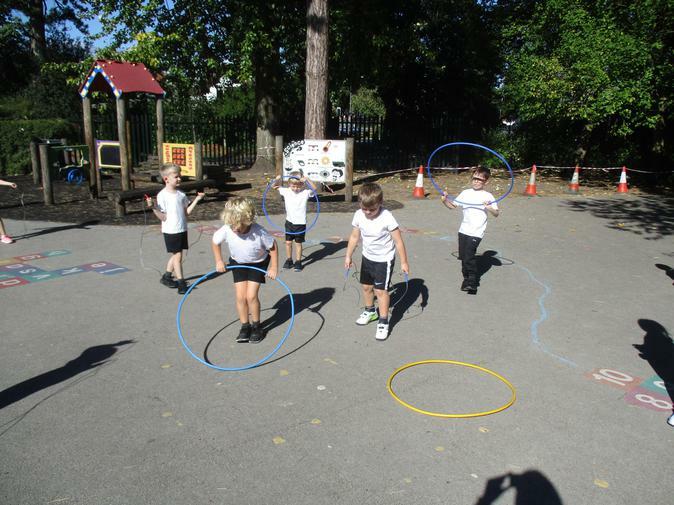 Spellings and Phonics homework are issued on a Thursday and the Phonics homework should be returned on a Tuesday; we do a spelling check each Thursday. 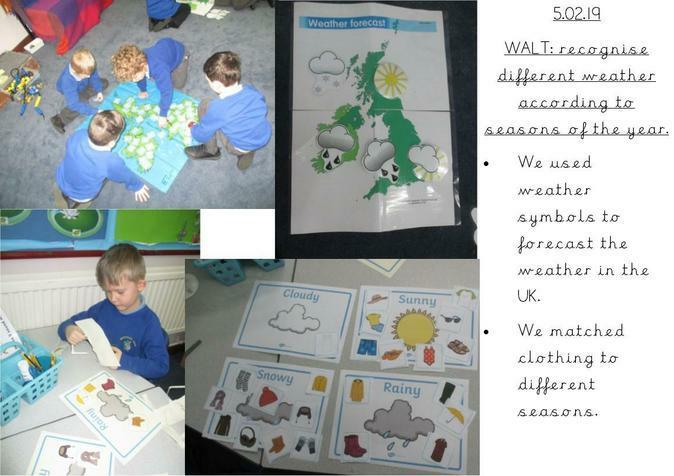 Also, we have a theme-based homework each half-term called ‘3-in-a-row’. 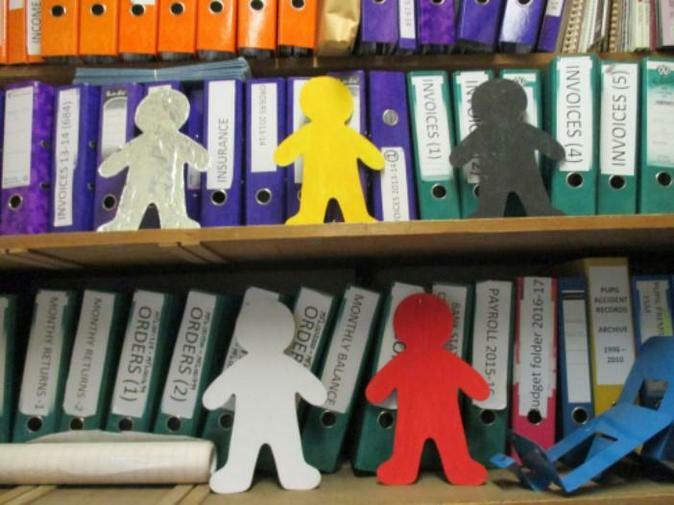 We have log-ins for our online resources of Bug Club and Purple Mash and these are in our reading diaries. You are always welcome to come in and see the staff in the class if you have any questions to ask or are concerned about anything.